Veneficum came into existence around 1998-1999. The original lineup consisted of guitar players Mendoz and Ceja, drummer Nacht, keyboardist Antarktis (Jason) and bassist/vocalist G.Reymond. The band recorded their first promo CD in mid December of 1999, with their first ever show at the New Jersey Metal Meltdown Festival in March of 2000 followed by Milwaukee Metalfest XIV later in the year. 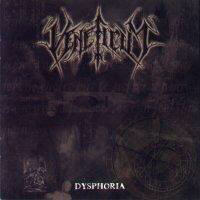 Veneficum's first official release, Dysphoria, came in early-mid 2001. This was recorded & mixed by the band in their own studio, Studio Black Aura. Soon after the release of Dysphoria, the band had parted ways with founding member and guitarist, Ceja, due to some personal differences. Veneficum went on as a four piece rehearsing and playing shows, making another appearance at Milwaukee Metalfest XV in top form. Veneficum had received an overwhelming response to their performance, quite possibly the bands best show to this day. In October, Veneficum found guitarist Aric, Ceja's replacement. Soon after he played his first show (Holiday of Horrors, at the Metro in Chicago) solidifying his place with the band. 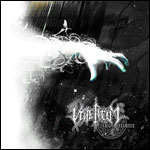 Veneficum began writing new material extensively in 2002. Shortly into the year, the band had another lineup change. Original founding members Mendoz (guitar) and Nacht (drums) disbanded while in the process of writing for the bands first full length. This put the pressure on the remaining three members to continue developing new music, with G. Reymond taking over drum duties in rehearsals. Within a short amount of time, the three remaining members had worked out most of the new material and had an opportunity to perform at the upcoming Milwaukee Metalfest. Members Mendoz and Nacht returned shortly for the gig and the band made their third appearance in a row at the 2002 Milwaukee Metalfest. Shortly after, the band parted ways with Mendoz once again. The wait wasn't long until guitar virtuoso Chris H. came to replace him, adding a new element to the Veneficum sound with refined musicianship and solo work. Now with the full lineup intact, it was time to focus on the new album. Veneficum had entered the newly revamped Studio Black Aura in early January of 2003. As problems insued in the studio, the band was plagued with lineup changes once again. Drummer Nacht was now out of the band for good. This left Veneficum with no time to find a replacement so G.Reymond stepped in to perform the drums with no recent rehearsal and only a few days in the studio. About four to five months into the year the band had completed the entire recording and mixing soon followed. At this time a title of Enigma Prognosis was given to the new 70+ minute opus, with Niklas Sundin providing the brilliant artwork and layout. Mastering of the new album was handled June/July by Mika Jussila at Finnvox Studios (Nightwish, Stratovarious, Moonspell) in Finland. In what seemed a revolving door, a new beginning was forged with a solid core intact for the future. The band is now planning full tour support for Enigma Prognosis and also an EP to come featuring new renditions of their earliest promo material. Watch out and keep your eyes and ears open for Veneficum will reign supreme this year and many years to come!